John Brumby is a former Victorian Labor Party politician who was Premier of Victoria from 2007 to 2010. He became leader of the Victorian Labor Party and Premier after the resignation of Steve Bracks. 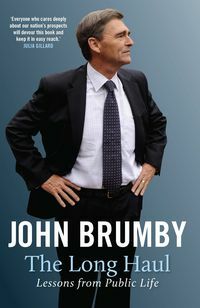 John Brumby was the Chairman of the COAG Reform Council between 2013 and 2014, and is Professorial Fellow at the University of Melbourne and Monash University.